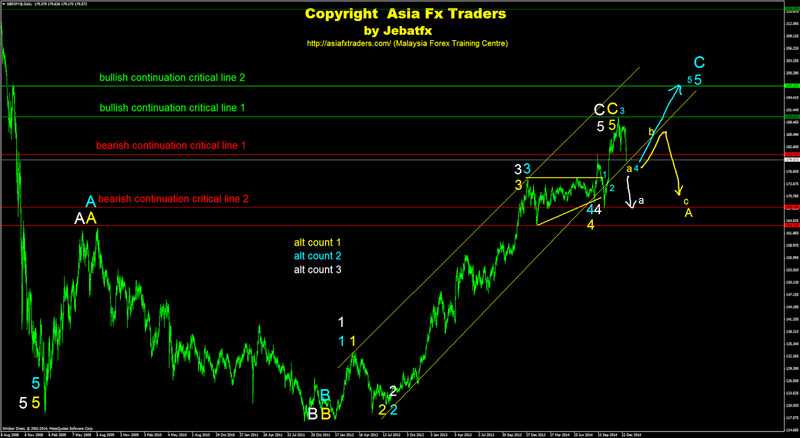 At the moment, market either in progress to complete subwave 3 @ iii either refering to the alt count in yellow or aqua. Therefore, I am execting toward a bullish retracement trend scenario either to perform subwave 4 @ iv in yellow or aqua later. Otherwise, we may see an extension of subwave 3 in white. 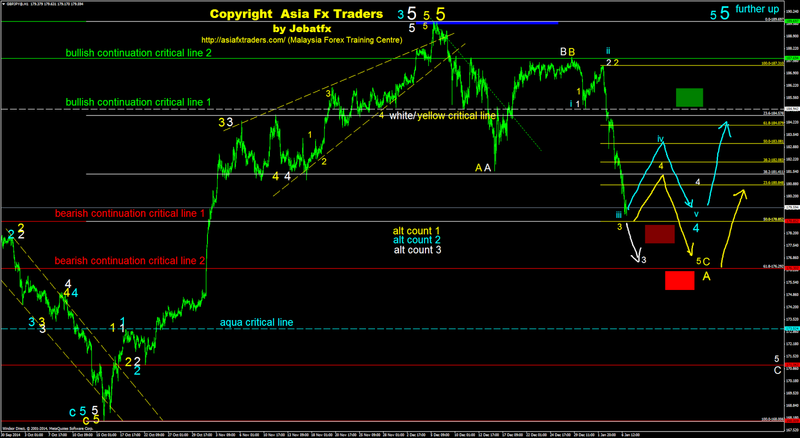 Preferably, I believed market either in progress to complete subwave 4 in aqua or corrective wave a in yellow. Otherwise, we may see another strong bearish rally to complete corrective wave a in white. Happy New Year and good luck.